It’s just not funny any more. Joette Calabrese is a certified homeopath, she has become a trusted voice in achieving robust health that is decidedly educated, experienced and committed. Tell me, would you trust someone who recommends giving just water to your feverish child? We should note that homeopaths often take the moral high ground, attacking ‘big pharma’ for selling drugs and making lots of money of the back of illnesses. It’s been pointed out time and time again by people with two brain cells to rub together that the homeopaths are also making money, and indeed their profit margins are probably much greater (because there’s no active ingredient). But I didn’t realize just how much more money homeopaths are making. Take this fever ‘remedy’ for example. On the Boots website, you can get a packet of ‘pillules’ for five quid. That should clear your fever within five days according to the dosage instructions (let’s ignore the fact that most, non-life threatening, fevers are self-limiting over that period anyway). And most homeopaths will tell you that you should go along to their ‘surgery’ and get the stuff made up the ‘proper’ way, which means you’re looking at substantially more dosh than that. Aspirin caplets are 75p. If you take them at the recommended dose a pack will last you two days. Even if you bought three packs (to last five days) that’s still only £2.25; plus you get an active ingredient. So who are the immoral money-grabbers now: ‘big pharma’ or homeopaths? They’ve obviously not read the book – stupid people are supposed to remove themselves from the genepool, not innocent children. 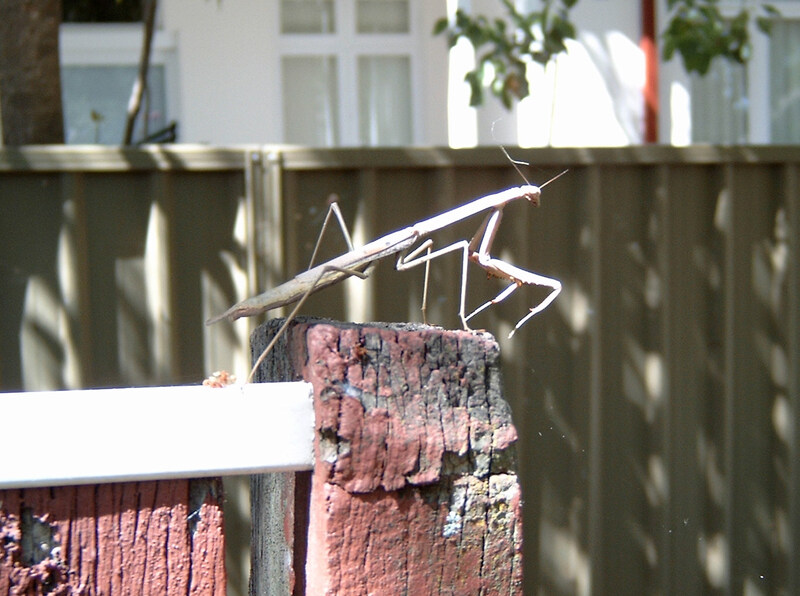 It’s a frigging praying mantis. In my frigging garden! As if the snakes and spiders and UV weren’t enough. I’ve been posting in memoriam for our Forces in Afghanistan and Iraq. Here’s another timely reminder that these are real people. He gazed up at the enormous face. Forty years it had taken him to learn what kind of smile was hidden beneath the dark moustache. O cruel needless misunderstanding! O stubborn, self-willed exile from the loving beast. Two gin-scented tears trickled down the sides of his nose. But it was all right, everything was all right, the struggle was finished. He had won the victory over himself. He loved Big Brother.